Base it on our location advantages, environment and emerging energy sources. 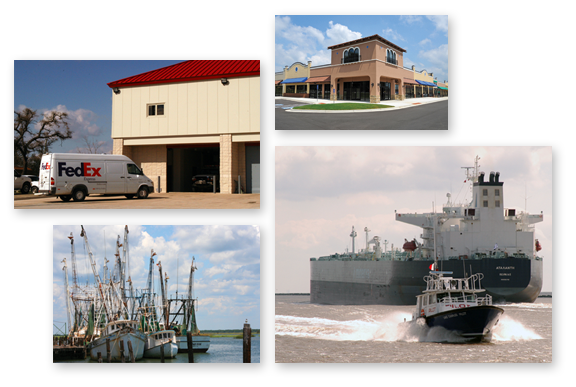 The advantages are: 1) location on the Gulf of Mexico at the Calcasieu Ship Channel; 2) established energy industry infrastructure and staging area for offshore oil platforms; 3) established shrimp fishing and ocean protein industry, easy entry into aquaculture industry; 4) proximity to marshland environment. Explore and develop research facilities as suited to our location. Without needlessly duplicating the efforts of others in the region, seek small industry creation of testing laboratories to serve existing industries’ needs. Explore the creation of jobs serving the needs of alternative fuels producers. Enable their efforts with seed money. Consider wind energy, ethanol from algae. Partner with Louisiana’s Department of Economic Development to develop and implement appropriate portions of their “blue ocean strategy” in Cameron. Establish incentive programs to encourage new immigrant residents to move to Cameron to establish cottage industry jobs, perhaps using the government’s EB-E Initiative. Provide facilities for continuing education classroom training of the local workforce. Establish robust computer classrooms enabling online distance learning for college-level credit. As of the publication of this booklet, Cameron Parish has secured funding for the construction of additional wharves to accommodate commercial fishing and offshore platform crew boats. Attendant to the fishermen’s requirements is the need for a commercial ice-house, which is anticipated as part of a proposed seafood processing facility owned by private interests. Great news for Cameron Parish!